The euro slipped lower against the U.S. dollar on Friday, as markets awaited the release of euro zone manufacturing and service sector data due later in the day and as concerns over last ditch negociations over Greece's debt weighed. EUR/USD hit 1.1341 during late Asian trade, the pair's lowest since February 18; the pair subsequently consolidated at 1.1345, slipping 0.18%. The pair was likely to find support at 1.1277, the low of February 11 and resistance at 1.1449, the high of February 17. German Business sentiment, Mario Draghi and Janet Yellen’s speeches, US Consumer Confidence, US New Home Sales, Inflation data and GDP data from the US and the UK. These are the major events on our Forex calendar. Here is an outlook in the highlights of this week. Last week, the Greek drama remained at the center of attention without reaching resolution as Germany opposed the bailout extension proposed by Greece. From the US: Jobless claims release came out better than expected with a 21,000 fall to 283,000 claims and the 4-week moving average declined to 283,250, indicating the US labor market is gathering momentum. Other US events were more disappointing such as the Philly Fed index falling to 5.2 from 6.3 while expected to reach 8.8. The FOMC minutes release remained on the same note, reiterating patients regarding the rate hike option. Will the EU reach agreement with Greece this week? Eurozone German Ifo Business Climate: Monday, 9:00. German business moral edged up for the third straight month in January, reaching 106.7 from 105.5 in December, in line with market forecast. The weak euro boosted exports and is expected to continue its decent amid the fresh bond buying program initiated by the ECB to spur growth. Stronger German growth will help the Euro-area out of its sluggish state. German business is expected to rise further to107.4. Mario Draghi speaks: Tuesday, 14:00, Wednesday 14:00. ECB President Mario Draghi is scheduled to speak in Frankfurt and in Brussles before the European Parliament. Draghi refrained from addressing the Grexit scenario, saying it made no sense to speculate on Greece abandoning the euro zone. Draghi may refer to the Greek negotiations and his statement from Feb 7. US CB Consumer Confidence: Tuesday, 15:00. U.S. consumer confidence rose to a seven-year high in January, reaching 102.9 from an upwardly revised 93.1 in December. Optimism increased about the labor market and economic conditions. Analysts expected a small rise to 95.1. Responders were also positive on short-term outlook and wage growth. Low inflation due to gasoline prices also boosted consumers’ spirits. Consumer confidence is expected to reach 99.6 this time. Janet Yellen testifies: Tuesday, 15:00. Federal Reserve Chair Janet Yellen will testify before the House Financial Services Committee, in Washington DC. Yellen may address the rate hike issue, the weak inflation trend and the strengthening labor market. Market volatility is expected. US New Home Sales: Wednesday, 15:00. New home sales increased sharply in December to a seasonally adjusted annual rate of 481,000, following 452,000 in the previous month. The 11.6% climb indicates an improvement from 2014. Stronger labor market and better economic conditions have facilitated the positive trend of home acquisitions. Furthermore, sales of existing homes rose 2.4% in December to a seasonally adjusted annual rate of 5.04 million. New home sales are predicted to shrink to 447,000 in January. 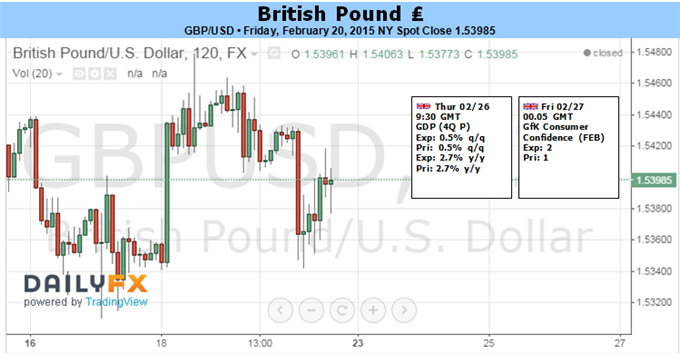 UK GDP data: Thursday, 9:30. The second GDP estimate of the third quarter confirmed a minor slowdown in Britain’s economic activity. GDP increased 0.7% but growth was heavily dependent on domestic demand. The GDP data indicates that the UK Government does not succeed to balance growth between all sectors. Falling Business investment and low Industrial growth weighed heavily on output. Exports declined 0.4%, while imports increased by 1.4%. However, household spending edged up 0.8% over the third quarter, showing growth in 13 consecutive quarters. The second GDP estimate of the fourth quarter is expected to be 0.5%. US Inflation data: Thursday, 13:30. U.S. consumer prices registered their biggest fall in December, dropping 0.4%, the largest decline since December 2008, following a 0.3% decline in the prior month. On a yearly base, CPI gained a mere 0.8%, the weakest reading since October 2009. The continuous decline diminishes the possibility of a rate hike. Meanwhile, Core prices without food and energy costs remained unchanged in December. In the 12 months through December, core CPI increased 1.6%, the smallest gain since February. U.S. consumer price index is expected to decline 0.6% while core CPI is forecasted to rise 0.1%. US Core Durable Goods Orders: Thursday, 13:30. Capital goods orders plunged 3.4% in December amid slowing global growth and low crude oil prices. Core orders excluding aircraft, dropped 0.8% in December while expected to gain 0.5%. The strong dollar also held back new investments. Durable goods orders took a step back in the fourth quarter of 2014 after strong gains in the previous two quarters. Durable Goods Orders are expected to gain 1.7% while core orders are expected to add 0.6%. US Unemployment Claims: Thursday, 13:30. The number of Americans filing initial claims for unemployment benefits fell 21,000 last week to 283,000, indicating a positive momentum in the US labor market. Analysts expected claims to reach 293,000. The four-week moving average of claims, a more stable measure of labor market trends fell 6,500 to 283,250 last week. The number of jobless claims is expected to reach 285,000 this week. US GDP data: Friday, 13:30. The U.S. economy expanded more than initially estimated in the third quarter, rising 3.9% from 3.5% forecasted a month back. The strong release was preceded by a 4.6% growth in the second quarter, marking the two strongest quarters since the second half of 2003. Analysts expected a growth rate of 3.3% However economists expect a weaker expansion below 3% in the fourth quarter. The expansion rate in the fourth quarter is estimated to reach 2.1%. Dollar At Risk of Breaking Record Run But Will it Reverse? The Dollar is at risk of breaking its record string of monthly gains at the close of the coming week. Seven consecutive months of rally through January’s close speaks to the incredible progress the currency has made since mid-2014 through relative strength in forecasts for growth, yield and even latent haven status. Yet, these past four weeks the Dollar has replaced steady appreciation for directionless consolidation. As the benchmark’s peers regain stability and its own forecasts plateau, indirect fundamental gains are thinning out. Furthermore, the S&P 500 closing at record highs push postpones the revival of the Greenback’s haven status. Yet, has the Dollar exercised the full extent of its relative appeal and are speculative appetites as robust as US equities insinuate? In the incredible run the Dollar has mounted since the middle of 2013, the weakness of its most liquid counterparts has played a key role. These past few weeks, however, that well has begun to run dry. From the British Pound, the Bank of England emphasized that it was focusing on core inflation which was significantly removed from the record-low headline reading and could necessitate a move to tighten policy earlier than the market was anticipating. The weakest of the majors through 2013 and 2014, the Japanese Yen has similarly found regained purchase with the notes of concern starting to circulate amongst Bank of Japan policy officials about the negative impact of an exceptionally low currency and wage growth that is sharply weaker than CPI. For liquidity, the most influential drag on the Greenback has been the stability the Euro has found. After nine months of tumble, EURUSD has spent all of February consolidating. Though the ECB is scheduled to begin a large, QE program next month; the market has already priced in a lot of that easing into the currency. Moreover, the fears of an impending Euro-area crisis have diminished significantly this past week. On the verge of a financial seizure, Greece and the Troika agreed to an extension of the country’s access to the funds it has relied on since its rescue. The situation is far from resolved, but room for further maneuvering means a situation where a flood of capital blindly seeking harbor in the only market comparable for liquidity has been averated. In the absence of weakened counterparts, the Dollar needs to tap much more robust fundamental developments of its own to extend its climb in a meaningful way. The docket carries a number of important indicators – CPI, consumer confidence, housing data – but the spark that generates heat now will need to cut closer to the underlying theme. Moving up the timing and/or pace of the Fed’s tightening cycle is the most capable means for reviving the Greenback’s bid. That redoubles the importance of Fed Chairwoman Janet Yellen’s testimony before the Senate and House this week (the Humphrey-Hawkins testimony). Over the past weeks we have seen a decidedly hawkish lean from the central bank in an attempt to acclimatize the market to the start of the tightening cycle. In fact this past week multiple Fed members (Fisher, Plosser, Bullard) have said a removal of the phrase ‘patience’ (in reference to hikes) was necessary at the next meeting in March while a hike was impending – and may even be June. Since we have until March 18 before we receive definitive word on that kind of progress, Yellen’s remarks can offer an authoritative bridge. The British Pound edged upward for a fourth consecutive week against the US Dollar but momentum clearly slowed amid the markets’ preoccupation with Greek debt woes. Close to half of UK exports are destined for markets in the Eurozone, making the economy highly sensitive to turmoil across the English Channel. Furthermore, Sterling has often acted as a regional safe haven at times when the viability of the Euro has come into question, opening the door for volatility in the event of an adverse outcome.Looking ahead, the clouds appear to be parting. As we suspected, Greek Finance Minister Yanis Varoufakis and his Eurogroup counterparts reached an eleventh-hour accord securing a four-month extension on the flow of bailout funds. Meanwhile on the domestic front, January’s CPI data showed the core year-on-year inflation rate – a measure excluding volatile food and energy prices that the Bank of England says it will overlook in setting policy – rose for a second month to 1.4 percent. This opens the door for the UK unit to resume trading on recovering rate hike speculation triggered by a hawkish-sounding Bank of England Quarterly Inflation Report (as expected). The document’s pro-tightening message may be further reinforced as BOE Governor Mark Carney, Deputy Governor Ben Broadbent and MPC committee member Martin Weale testify about its contents to Parliament’s Treasury Committee. Investors now price in at least one increase in the baseline lending rate over the coming 12 months, with futures markets reflecting bets on a move in the fourth quarter of this year.External forces may likewise help. Fed Chair Janet Yellen is due to deliver her semi-annual Congressional testimony on monetary policy and the global economic outlook. As with last week’s publication of minutes from January’s FOMC meeting, the outing may carry a disproportionally higher risk of diminishing Fed rate hike bets versus the alternative. The US Dollar has been unable to rise even when key economic data proved clearly supportive (such as January’s payrolls report) while speculative net-long USD positioning is near a record high. On balance, this warns that the “policy divergence” narrative that propelled the greenback higher since mid-2014 may be running out of fresh fodder. If Yellen restates recently voiced worries about an increasingly wobbly global environment, that may pour cold water on tightening speculation and narrow the spread in the Fed vs. BOE policy outlook. Needless to say, that is likely to encourage the Pound upward. Gold prices are lower for a fourth consecutive week with the precious metal off more than 2.4% to trade at $1199 ahead of the New York close on Friday. Despite the losses, gold is poised to close the week well-off the lows after rebounding off key support mid-week with the greenback on the defensive as the USDOLLAR index posts its third consecutive weekly decline. Minutes from the latest FOMC policy meeting cited a more cautious tone from the committee with “many officials” inclined to maintain the central bank’s zero interest rate policy amid concerns over the strengthening dollar and “foreign weakness” from the likes of China, the Middle East, Ukraine and Greece. The release prompted a rebound in gold prices which were trading into a critical support region as expectations for a June rate hike diminished. While the technical damage done to gold this month cannot be overlooked, near-term the shift in Fed rhetoric could continue to offer gold a reprieve from the recent selling pressure. Looking ahead to next week, traders will closely eying key US metrics with January CPI, durable goods orders, and the second read on 4Q GDP. The most significant event risk will likely be on Tuesday when Federal Reserve Chair Janet Yellen testifies before the Senate Bank Panel in Washington. Look for any weakness / downward revisions in the data or more dovish comments from Yellen to prop up gold as investors push out expectations for Fed normalization. We’ll also be watching the developing story in Greece with the current bailout set to expire at the end of the week. With news on Friday affirming that an initial four-month extension has been granted, the focus will remain on US data and the central bank interest rate outlook heading into next week. From a technical standpoint, gold rebounded off key support this week at the $1196/98. This level is defined by the confluence of the 61.8% retracement of the November advance & the 1.618% extension of the decline off the January high and is backed closely by a basic trendline support off the November low. We’ reserve this region as our near-term bullish invalidation level and although the broader bias remains weighted to the down-side, near-term this structure may offer stronger support. Note that daily RSI is holding just above the 40-threshold and we’ll use pending resistance trigger as validation of either a near-term recovery higher into the close of the month, or a material break sub 1196. Such a scenario targets subsequent support targets at $1171 & $1155. Interim resistance (near-term bearish invalidation) stands at $1218/24 with a breach above targeting $1239/40. Bottom line: looking for a low early next week with a general topside bias in play near-term while above $1196/98. The Nikkei as you can see broke higher during the course of the week, slicing through the ¥18,000 level finally. Because of this, it feels as if the market has finally completely and totally broken out and is ready to continue going to the ¥20,000 level. The Bank of Japan continues to add liquidity to the marketplace, and the recent consolidation was simply the market trying to catch its breath after the impulsive move higher from the ¥14,500 level. Because of that, we feel that this market should continue to climb and that any time it pulls back should be thought of as value at this point in time. Keep in mind that the Japanese yen is a lot weaker than it used to be, and that of course helps the Nikkei as well. It isn’t necessarily weakening at the moment, but the two generally run hand-in-hand and it does appear that perhaps there is a push to break out in many of the Japanese yen related currency pairs. While it hasn’t happened yet, it’s not uncommon for one of these markets to lead the other. Because of this, this move doesn’t surprise us at all. The Bank of Japan continues a very weak monetary policy, and that should of course continue this market move higher. 20,000 is the next large, round, psychologically significant barrier, so it makes sense that will be where the market aims for. Besides, the previous consolidation area dictates a move to at least ¥19,950, so at that point in time we are close enough. The S&P 500 initially fell during the course of the week, but found enough support below to turn things back around and form a positive candle. We believe that the S&P 500 breaking above the 2100 level of course is a sign that the market should continue to go higher, and with that we have no interest whatsoever in selling. We believe that the market is in a longer-term uptrend so any time it pulls back, the S&P 500 will simply offer value. Selling isn’t even a thought at this point. 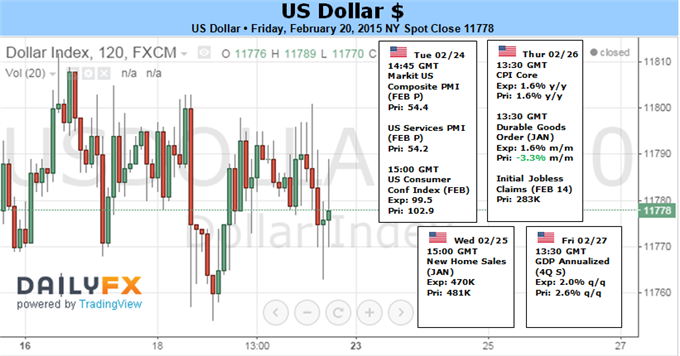 The gold markets fell during the course of the week, testing the $1200 level for support. They did in fact find it there, because it is not only a large, round, psychologically significant number, but it is also congruent with an uptrend line. Because of that, the market looks as if it could find buying pressure here, but a break down below the $1200 level would be fairly significant at this point in our opinion. We will wait to see what the weekly candle brings now, and place the proper trade based upon that. Looking at this chart, one cannot help but notice how choppy the gold markets have been over the longer term. This has been highly influenced by the value of the US dollar rising, but don’t get too hung up on the idea that the US dollar rising automatically hurts gold, quite frankly it can go either way. 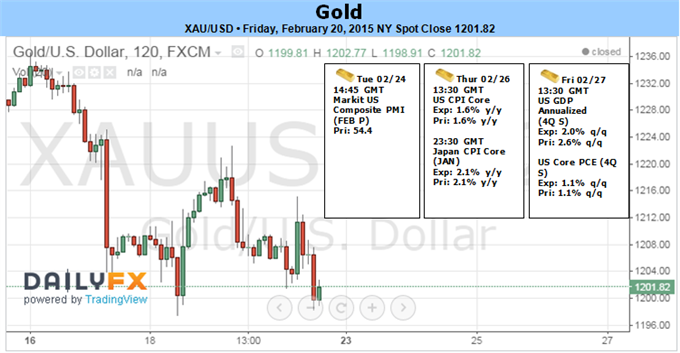 There have been times in the past where gold has risen right along with the US dollar. Ultimately, this could be a bit of a reaction to a lack of faith in currency around the world. Quite frankly, it may be that people were beginning to be concerned about the fact that the European Union has to continue to keep its interest rates low, and the value of the Euro continues to fall. This may simply be Europeans getting into the gold markets in general. Regardless, we are at a crossroads in this particular market and it will be interesting to see how things play out. If we get enough support in this general vicinity, we feel that this could begin a longer-term move higher. Because of this, the longer-term trader is going to have to wait to see what the weekly candle brings, and should be comfortable doing so. After all, the move that we are looking at potentially happening could be a massive one that last four months, if not years. Giving up a few dollars here and there isn’t a big deal on the entry when we are speaking of this type of scenario. The EUR/USD pair fell during the week as the market continues to churn between 1.13 on the bottom, and 1.15 on the top. Because of this, it’s going to be very difficult to trade this market from a longer-term perspective, and as a result we feel that is probably just going to be easier to wait for some type of bounce in order to take advantage of value in the US dollar. Ultimately, we have no interest in buying and we believe that this market goes down to the 1.10 handle.